SIGN UP NOW for text or email updates about weekday (M-F) service advisories. 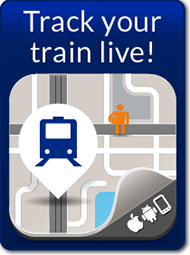 Stay informed – know precisely where your train is at any time and monitor its progress HERE. Download the smartphone app NOW. Access real-time arrival times on your mobile device! More info HERE.